Investment Properties, Relocations, and Distressed Situations including disease, divorce, and death . 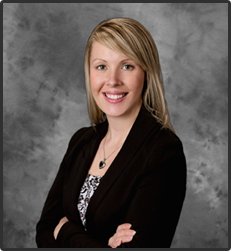 Raena has been working as a licensed Realtor in the province of Alberta for several years, and has been personally involved in Real Estate since 2002. Through buying and selling investment, personal, and vacation properties for herself, as well as friends and family, Raena turned a part-time love of Real Estate into a full-time career. A firm believer in continuing education Raena has received her Accredited Buyer’s Representative (ABR®), Certified Condominium Specialist (CCS®) and Master Certified Negotiating Expert(CNE®) designations along with being one of 21 Realtors to have the designation of being GREEN® and representing High Performance homes in the province of Alberta. Raena also recently completed a designation in Senior Real Estate Specialties assisting Mature Buyers and Seller's with decisions unique to Baby Boomers andtheir parents (SRES®).She has also successfully completed the Program for Excellence in Rural Real Estate (PERRE), along with other related continuing educationcourses. Specializing in the Residential resale market; Raena works with single family, condominium, as well as rural and investment properties. Raena offers her clients a high level of service, attention to detail and strong knowledge of the Calgary and area market. It is Raena’s goal to find the best fit for her clients and have every individual feel supported throughout the real estate process while being well-informed of all the steps along the way. Raena’s friendly attitude, concise explanations, and superior negotiating skills make her an excellent choice for the first time buyer, real estate investor, or anyone looking to make a change. Raena's genuine caring attitude and strong work ethic have led her to help many Buyers and Sellers over the years that need extra care and attention due to illness, divorce, death of a spouse, or other major life changes. If you have stressful or extenuating circumstances that are affecting your life or your Real Estate search she is the kind of agent you want by your side. Watching any "new" Star Trek series; Next Gen, Voyager or Deep Space Nine (or all three in a row - ah yea!) are one of my favourite ways to end a long day on a positive note. I love maple cookies, but ONLY Mr. Christie. Sugar free milk chocolate is my favourite treat! I have always loved stretching for extended periods of time, back before us Westerners called it Yoga! I love to play tennis and have a racket or two in my vehicle at all times, but I dont usually keep score (something that may change). Impacting someones world in a positive way - like finding someone the perfect place to call home! Moments of real genuine connection with friends, family, clients, or complete strangers. I cant stand the smell or taste of artificial mint - tooth paste and mint gum are muy disgusto to me. Driving outside the lane (drives me crazy)!